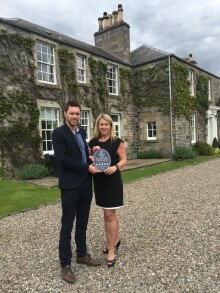 The Townhouse in Aberfeldy, Perthshire receives a Taste Our Best award from VisitScotland. 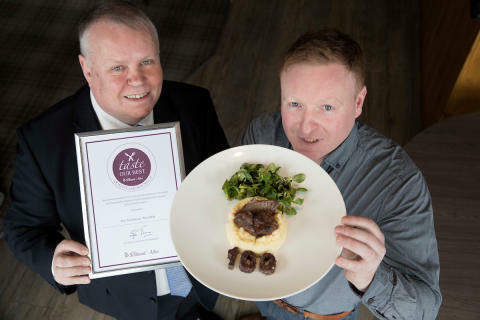 The Townhouse in Aberfeldy has been awarded a Taste Our Best award for including and promoting Scottish food and drink on their menu. The family-run business sources many of its products from local suppliers including MacDonald Brothers Butchery in Pitlochry, George Campbell Fishmongers in Perth, Stewart Tower’s Dairy and Breadalbane Bakery. Taste Our Best is designed to raise quality standards and promote the use of Scottish produce within the tourism industry. The joint initiative between VisitScotland and the Scottish Government, with support from Scotland Food and Drink, aims to form stronger links between the places people visit and the food and drink experiences on offer. As part of the scheme, restaurants, hotels, B&Bs, takeaways, cafes, visitor attractions and pubs or bars are assessed on not just the quality of their food and drink offering but also how they include and promote Scottish produce on their menus to give consumers choice. 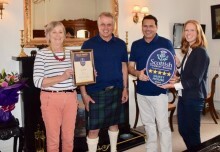 As well as becoming part of the acclaimed scheme, the Townhouse Aberfeldy also received a four-star quality assurance award from the national tourism organisation in recognition of its commitment to quality and customer service. Built in the late 1890s, the Townhouse Aberfeldy mixes classic styles with the best in modern convenience. Visitors can stay in one of 15 en-suite bedrooms, dine at the restaurant and explore the best of Perthshire. 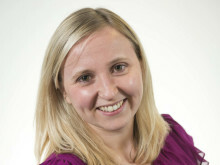 Jim Clarkson, VisitScotland Regional Partnerships Director, said: ““I would like to congratulate Blair and the entire team on this thoroughly deserved double success. The Townhouse Aberfeldy is demonstrating exactly what we want visitors to experience when exploring the region - excellent Scottish hospitality, first-class customer service and the finest local food and drink. “Quality Assurance and Taste Our Best are about more than a certificate – it’s about the entire visitor experience and driving improvement in that experience throughout Perthshire.